ANKARA - U.S. helicopter manufacturer Sikorsky Aircraft, in competition with an Italian rival for a Turkish program to jointly produce 109 utility helicopters worth about $4 billion, offered Ankara fresh benefits to strengthen its bid. Steve Estill, vice president for strategic cooperation at the Sikorsky president's office, told Defense News his company would guarantee that Turkey would do repair and maintenance work worth $1 billion for the S-70i Black Hawk International helicopters belonging to third countries. "Turkey will do maintenance, repair, overhaul work for the platforms of countries that have S-70i Black Hawk International helicopters. We guarantee this," Estill said. 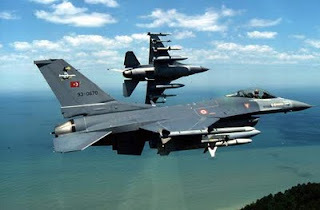 "Altogether, this will be worth $1 billion for Turkey's defense industry over the next 20 years. "Sikorsky Aircraft is offering the T-70, a Turkish version of the S-70i Black Hawk International. The Black Hawk International is in the inventories of several countries. It is the export model of the U.S. UH-60 Black Hawk.